Most people don’t pay a lot of attention to their tires until and unless there’s an obvious problem. Unfortunately, tires are like everything else in life. Eventually they just wear out. No matter how rugged and robust the last tires you purchased were, the day’s going to come when you’ll need a replacement. 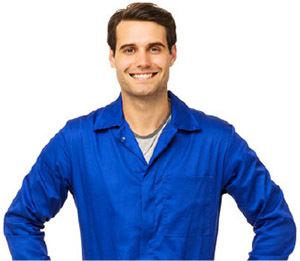 Have you considered Kelly tires in Reston, VA? Kelly is a venerable American company. They’ve been making tires since 1894 and are now a part of the Goodyear family of companies, so they’re synonymous with quality. Even better, Kelly tires in Reston, VA are aimed at the value-segment of the market, meaning you get the company’s world-class quality for a surprisingly modest price. The biggest question, when it comes to finding the right type of tire for you is what kind of vehicle you drive and how you use it? Do you drive mostly on city streets, or do you live and work on a farm, and as such, tend to drive on a wide range of terrains, with some being more uneven than others? Or maybe you live in a wild, untamed area that sees you driving off-road as often as on? Whatever the case, there’s a tire made for you. Broadly speaking, we recommend some type of AT, or all-terrain tire for people who drive light trucks or SUVs, and tend to drive on a range of terrains, while A/S, or all-season tires are usually found on passenger vehicles whose owners tend to spend most of their time driving on city streets. There are many more designations than just these two, however. You can find tires that serve both the all-terrain and all-season role, other tires that are highly optimized for the most rugged terrain, sacrificing smoothness of ride for the ability to traverse the most challenging of obstacles, and, at the other end of the spectrum, touring tires that offer an amazingly smooth ride and are designed with people who drive exclusively on city streets in mind. There are even wintertime tires, optimized to handle the snow and ice that’s all too common in our area. Granted, not everyone can afford to buy a set of tires just for winter use, but if it’s within your budget, it’s a great investment that will help keep you and your family safer during the most treacherous driving season of the year. You can find Kelly tires in Reston, VA that cover all the possibilities, and we’ll be more than happy to help refine your search until you find exactly the tire you’re looking for that’s the best fit for what you drive and how you drive it. 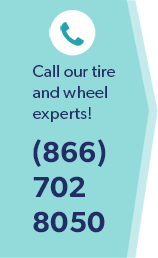 Give us a call or swing by the shop today, and let’s get you into a new set of tires!